If you're using a HomeAway Connect Calendar with VRBO or HomeAway, then you might find it useful to view your calendar from Google Calendar. HomeAway Connect provides an iCalendar URL for each calendar that can be used to connect to Google Calendar or any other service that consumes iCalendar format. 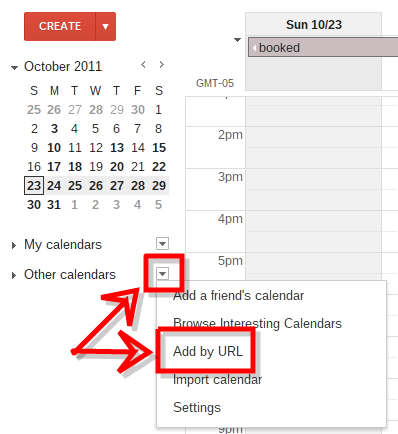 Click the down arrow next to Other Calendars and click "Add by URL"
The calendar has now been added and you can view it in your Google Calendar. Here are screenshots of each of the steps to help you follow along.